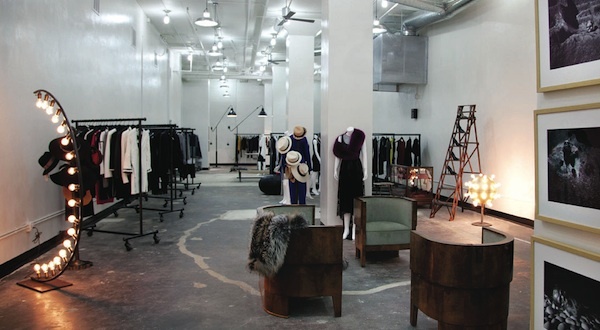 Los Angeles Boutique Guide | Scarlet Chamberlin Styling Co.
A certain convenience comes with shopping at department stores like Bloomingdales, Nordstrom, Barney’s or Saks. But for many of us, these stores can feel overwhelmingly large, impersonal, or terrifying with crowds of tourists. 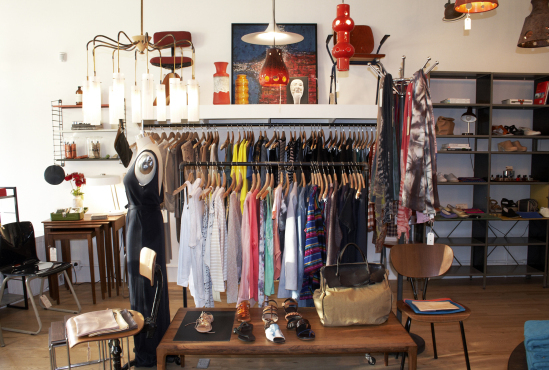 Boutiques offer a different kind of experience. Get to know your local shop owners, sip on a glass of wine, and in a relaxed atmosphere, discover unique pieces that no one else will have. Here is my guide to what I think are the best smaller shops in LA. I’ve personally visited them, and picked out the rulers of the retail roost. So if you’re in the mood to explore, it’s totally worth venturing off to some of these local boutiques! 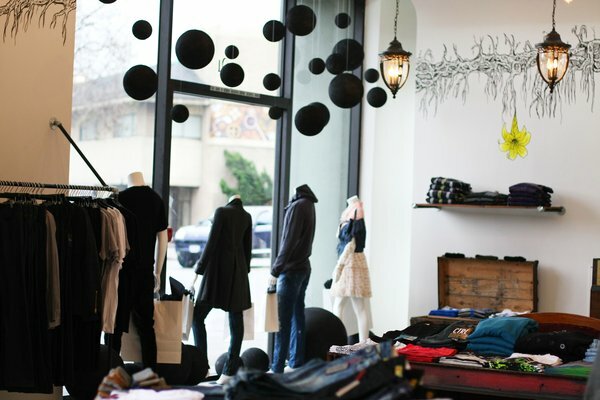 Lake: Give yourself some time to peruse Lake Boutique filled with clothing by Maison Scotch, Isabel Marant, and lots of stuff in between like locally made jewelry, pretty housewares and tiny treasures! Tavin: A beautiful historic vintage shop where celebrity stylists and movie scouts find amazing stuff! Cookbook: Pop in to Cookbook for a quick snack. This little green grocer has an awesome deli with perfect picnic foods, and coffee to go! Driftwood: A perfect array of miscellany. Driftwood is reminiscent of a summer festival, housing crafted goods, unique accessories, and new and vintage garments. Mohawk General Store: Mohawk is a must see! Women’s and men’s clothing from brands like A.P.C., Imogene + Willie, and Wood Wood can all be found at this hipster cove. Clare Vivier: Clare Vivier’s wallets are the perfect way to organize your cards, cash and change in high style. My favorite is the flat matte leopard print. Dream Collective: Dream Collective stocks locally made jewelry from dainty rings, to striking necklaces. Find that missing piece to complete any outfit! Individual Medley: Keeping true to the attitude of the West Coast, Individual Medley is super chilled out and full of fab finds from MINKPINK, Current/Elliot, and Brixton. Vamp: Vamp is thoughtfully laid out, ultra bright and pristine. With affordable and well made shoes, they keep shoe shopping simple and stress free! Dean. : Quality, handmade leather craftsmanship at it’s finest. Elegant, yet funky bags and accessories, local art, watches and then some. They literally know everything about leather. Steven Alan Outpost: Carefully curated with discounted prices on over 20 designers, Steven Alan Outpost is a long time favorite of mine. Especially for anyone with signature tomboy style! Madison: From much loved to new emerging designers, Madison covers a variety of personal styles. If you’re looking for the latest trends, a professional outfit, or something for the hip, young mom, go here! Scout: Relevant designers and inspirational vintage collections. Along with Scout Design exclusives, this place truly is one of a kind. 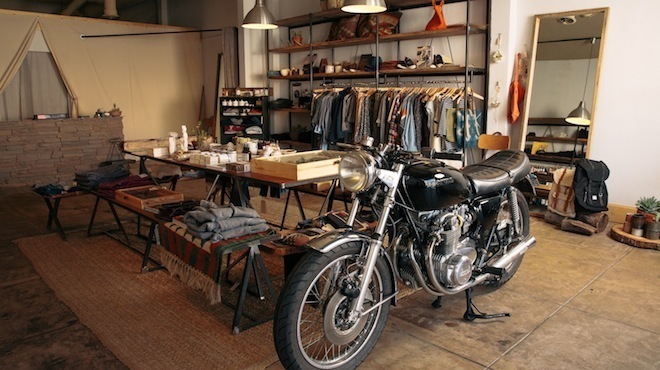 Creatures Of Comfort: The clothes in this store are the very definition of cool. With a sense of whimsical adventure and a surprising range of wear-ability, expect to discover some unique pieces! And I know what you’re thinking, but just try it on! Roseark: By appointment only, this jewelry gallery of sorts carries beautiful baubles ranging from $100-50,000, making it a hot spot for celebrities and their stylists. Opening Ceremony: Over the years, Opening Ceremony has collaborated with brands including Rodarte, Topshop, Pendleton, and Maison Martin Margiela, and has become known for it’s projects with creatives like Spike Jonze, Terence Koh, and Chloë Sevigny…. Need I say more? Jenette Bras: Expert bra fittings for my curvy girls. With an inventory ranging from sizes D-K, these ladies are not here to tiptoe around your needs and instead offer a conscientious, comfortable and caring experience. Cerre: Find luxurious basics with interesting details that will become your most beloved wardrobe staples. Celine: Celine is one of my favorite designers for architectural and structurally gorgeous pieces, not to mention all around one of the best French labels. This flagship store deserves it’s own mention. TenOverSix: Forever shoes, well designed handbags, and unexpected gifts. TenOverSix is highly influenced by art and totally dreamy! Satine: Sweetly colorful and spacious, Satine has a blend of contemporary American and European designers. Keep in mind only one size represents each item on the rack so be sure to ask for help! Just One Eye: With over the top designs by Valentino, super cool handbags by Proenza Schouler, and classics by The Row, Just One Eye is wild. Be sure to check out their Vintage diamond bling! American Rag: Simply put, this is where you go to get your jeans. American Rag is everyone’s favorite for dressing like a rock star, with it’s wide array of classic denim, leather jackets, and moto boots. Unis: Unis is very androgynous. 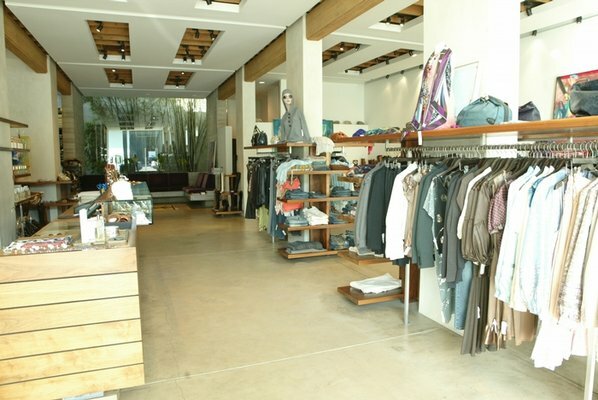 Despite it looking like a men’s store, it carries the best, soft and classic weekend basics for either ladies or gents! Calleen Cordero: Calleen Cordero brings you handmade, quality leather goods with lots of shiny details. 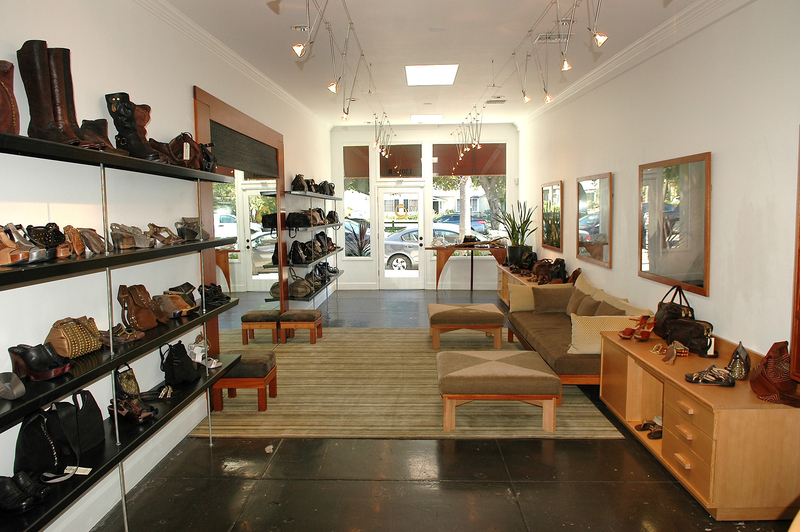 You’ll find artisan shoes, bags and accessories. And I have to admit, my favorite clogs ever are from here! Stacey Todd: Clu, Kristensen Du Nord, and Rag & Bone, can all be found at Stacey Todd. 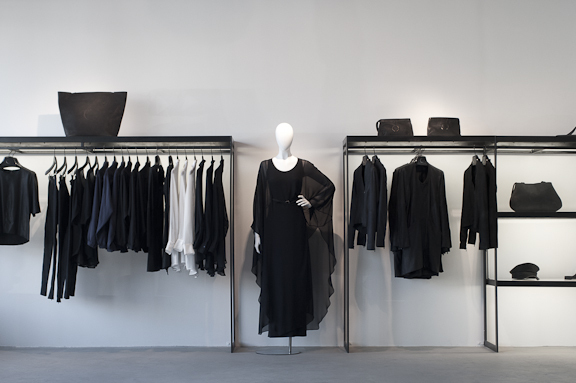 She has created a relaxed atmosphere that showcases exclusive pieces from some harder to find designers. Frock: The entire collection is made and sourced in Los Angeles, colors are achieved using vegetable dyes, and they use a low waste cutting technique, making Frock super eco-friendly! 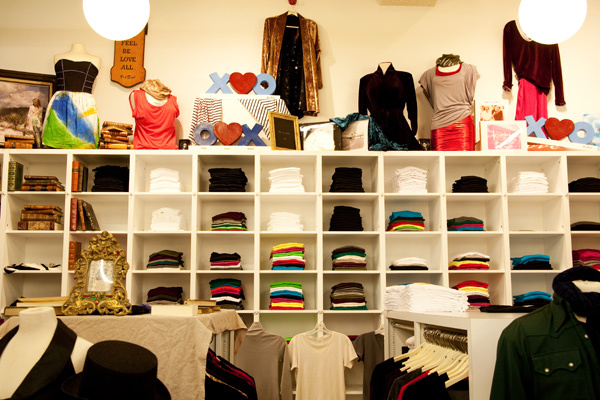 A fair-trade, modern collection of clothing for women lives here. Dari: A master of California cool. If Jennifer Aniston is one of your style icons, you’ll love this place! The Quest By Hayley Starr: This store truly is awesome. By day, The Quest doubles as Hayley’s studio where you’re likely to see her working on art, painting or making dresses. By night, it turns into an educational haven where the ladies of Quest offer things like Meditation, Yoga, and drawing classes. Just thinking about it makes me happy. Take extra time for this special place! Wylie Wilson: Step inside this romantic dreamscape where you can find the most delicately beautiful contradictions of colors, patterns and textures. Designed with the idea that every woman deserves to feel beautiful, Wylie Wilson makes the most lovely lingerie. Strange Invisible Perfumes: Organic, wild-crafted and hydro-distilled essences, along with other apothecary goods, fill this stunning little shop. 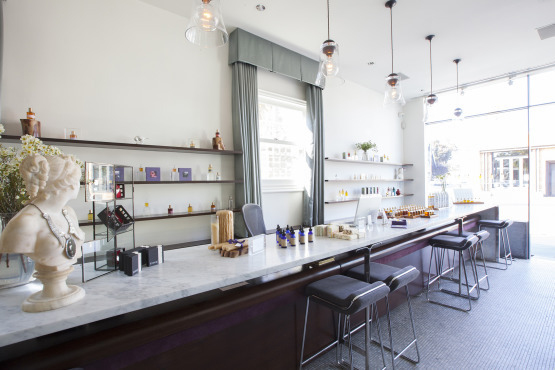 The folks at Strange Invisible even blend and bottle all of their fragrances in their own natural fragrance house in Venice, CA! Heist: The most thoughtfully edited, hand picked selection of some of today’s cutting edge designers. Isabel Marant, Vanessa Bruno and Massimo Alba are just a few that you can find at Heist. My favorite! Guild: Guild is exquisite with it’s avant garde, high fashion, men’s and women’s clothing and accessories. As soon as you walk in, everything that meets the eye gets progressively more luxurious. As if that’s even possible! Fred Segal: A California institution. How can you not stop at Fred Segal? An intimate mall of sorts, featuring clothes, food, and the assured possibility of a celebrity sighting. Hip’tique: Want to feel like you’re walking into a giant closet straight out of a magazine? Hip’tique is your place! It’s charming antique accents and signature glossy gold colors set off the eye, making this one a mood changer. C’mon get happy! Botany Flowers: Decadent and romantic, Botany is a full service florist with some seriously lovely scents, gifts, and striking flower arrangements. Footsie: With a name like ‘Footsie’ you immediately think shoe store, but on the contrary. These ‘sock specialists’ also happened to be pretty well versed in lingerie. In fact, very well versed. Here you’ll find a gambit of unique sock styles and sizes, as well as knowledgeable bra experts fitting sizes AA-H. Skip Victoria’s Secret, you won’t be sorry. Malia Mills: Malia Mills speaks to the beach bohemian in all of us. This store has something for every body type. Need a flattering swimsuit? She has the absolute best! Intermix: Intermix has some of the best brands and most coveted designers in women’s fashion today. Stop in! Pippa Small Jewellry: Pippa Small’s only U.S. location! The perfect blend of organic and sparkly gemstone jewelry, her pieces are a worthy investment. If you’re not headed to London soon you better stop in! No. A Boutique: No. A houses hard to find domestic brands, and carefully selected international ones, it’s skater roots make it not just your run of the mill clothing store. Buttons & Bows: Looking for unique designer fashions less expensively? Buttons & Bows is a consignment boutique that has the perfect selection for both ladies and gents! Les Pommettes: A seriously pretty store with gobs of gorgeous jewelry and heaps of slouchy soft tees and tanks. Playful and professional options a-plenty at this chic boutique. Say Hi to Becky for me! The Shop: A sweet and colorful laid back shop with the nicest staff where you can scoop up some easy beach-y favorites. 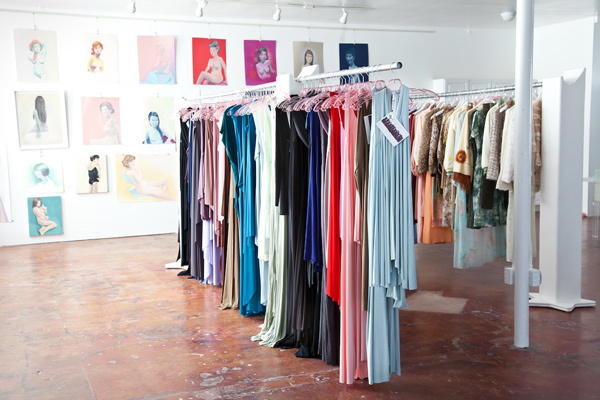 Laguna Supply: Get lost in this wonderland of prettiness filled with chic contemporary designs by some of the hottest names in fashion, without the attitude. Isla Boutique: Classic and modern clothing and accessories amongst a beach, bohemian setting. 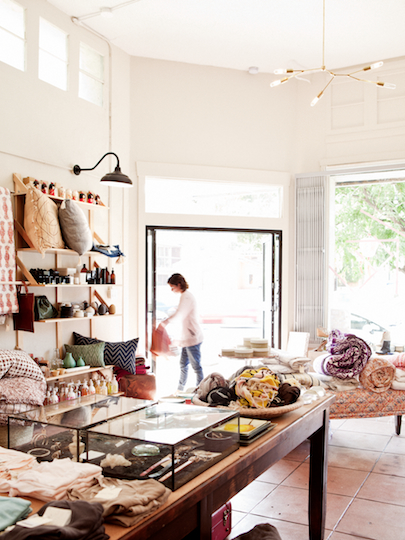 They carry flea market finds, locally made jewelry and some Orange County exclusives like Arnhem, Indah, and Tallow.